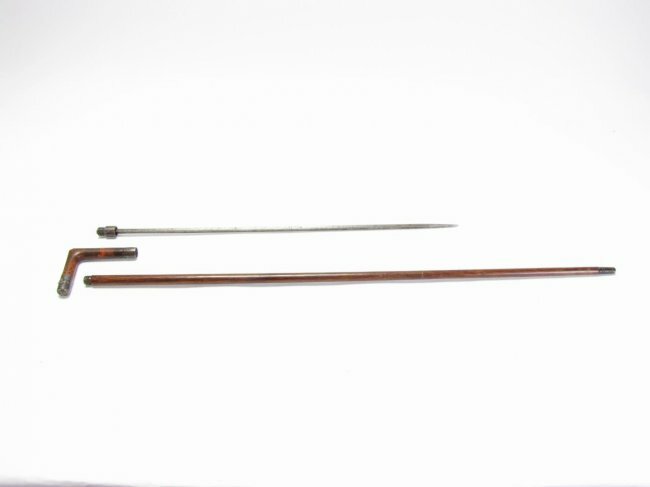 A selection of unusual weaponized canes from a recent auction. 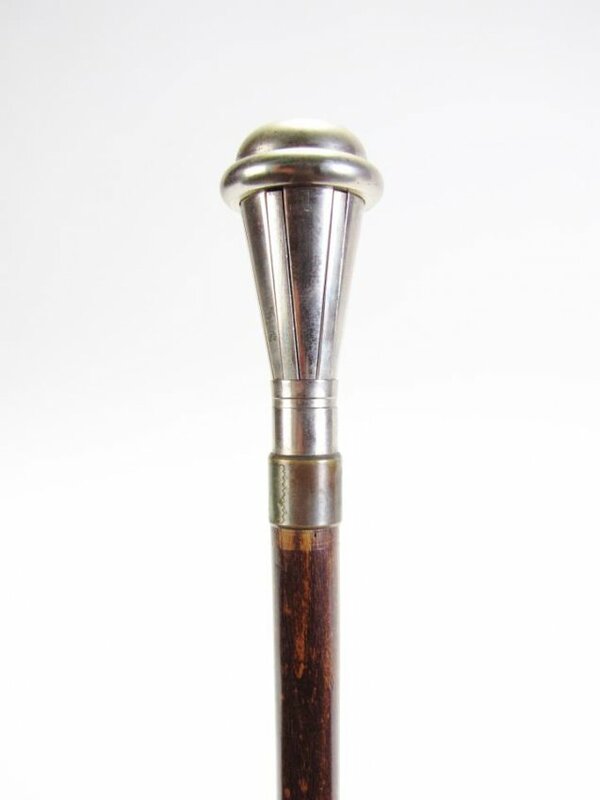 Everybody knows the classic cane sword, the symbol of the sophisticated gentleman and dastardly villain alike. 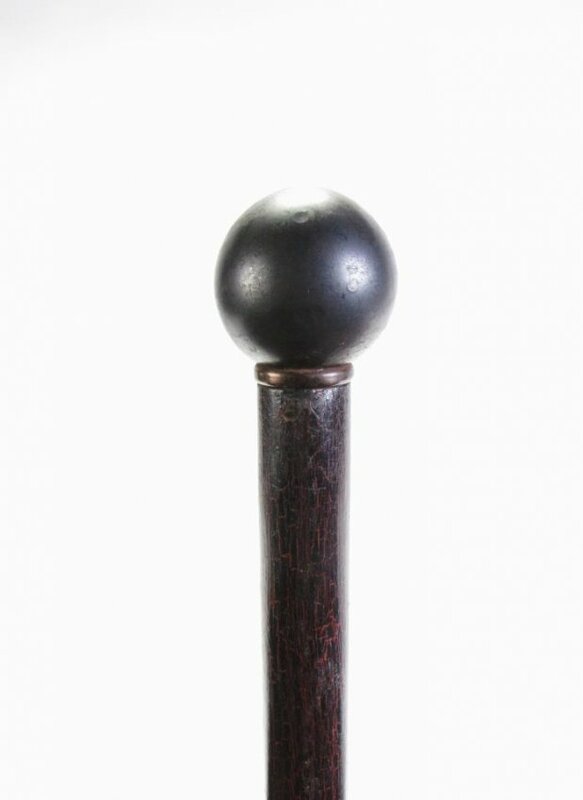 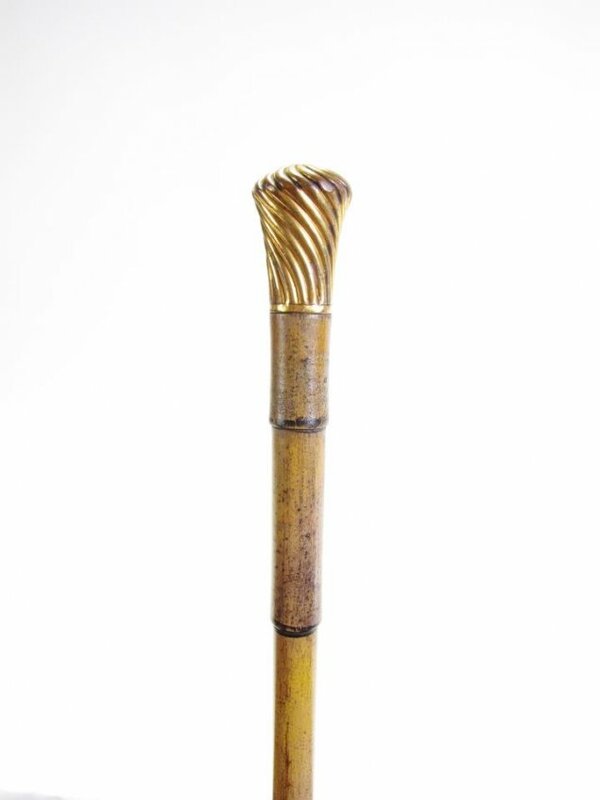 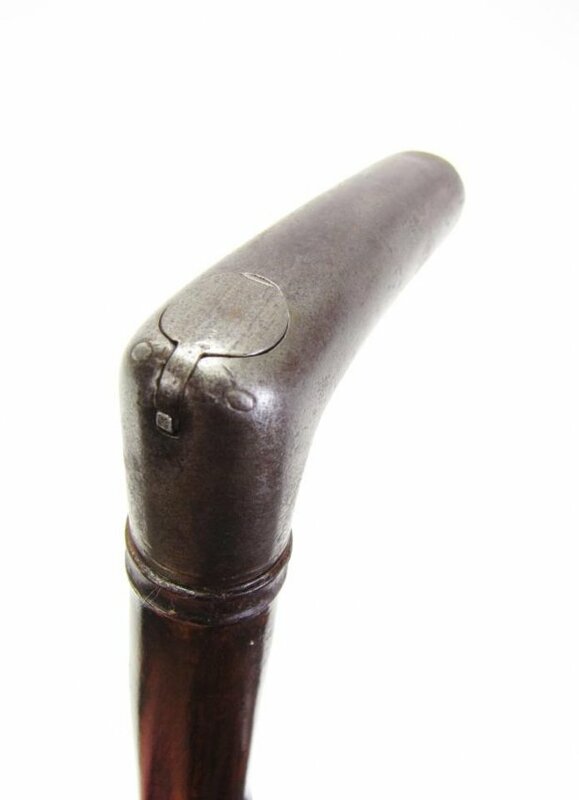 In the 19th century, stricter weapon laws and the rise of the cane as a fashion item had makers rival in ingenuity to elaborate new weaponized canes. 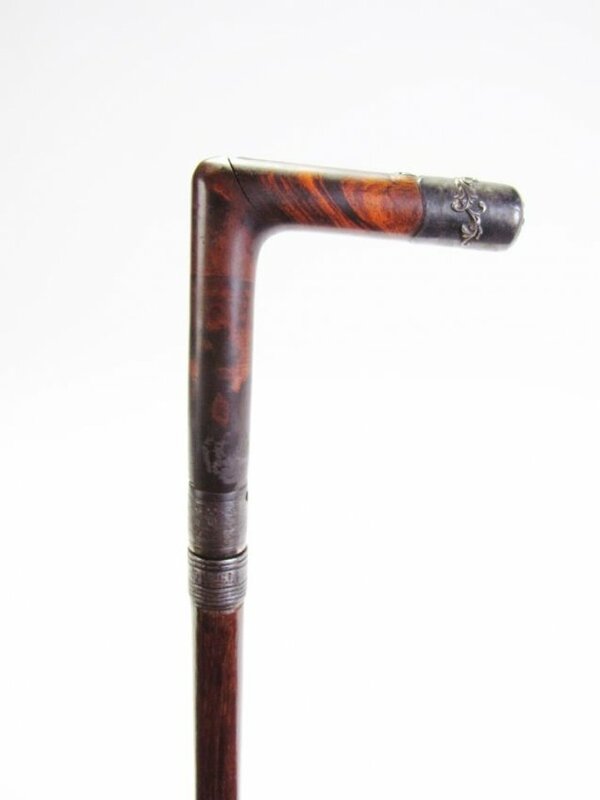 A while ago I presented an example of La Terrible Canne, but a recent auction unearthed many more rare examples. 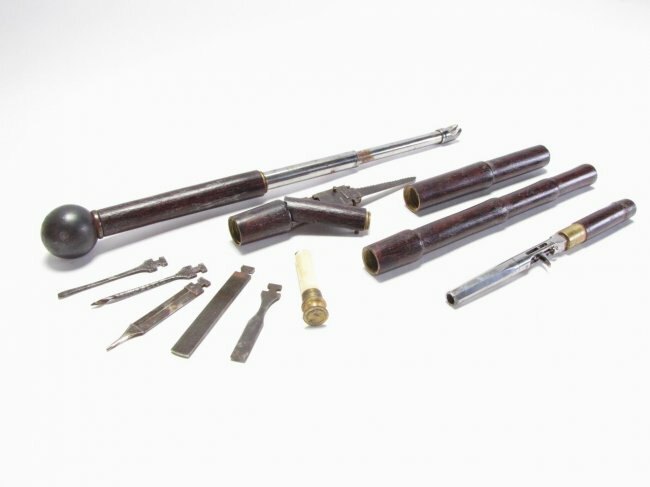 In this article, I will present some of the most interesting finds. 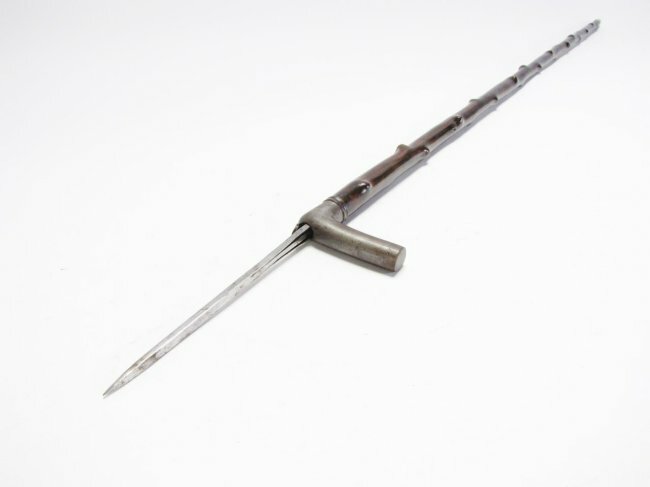 La terrible canne in itself is a clever if terrifying weapon, which had two close parents: la diabolique (the diabolical) and la redoutable (the dreadful). 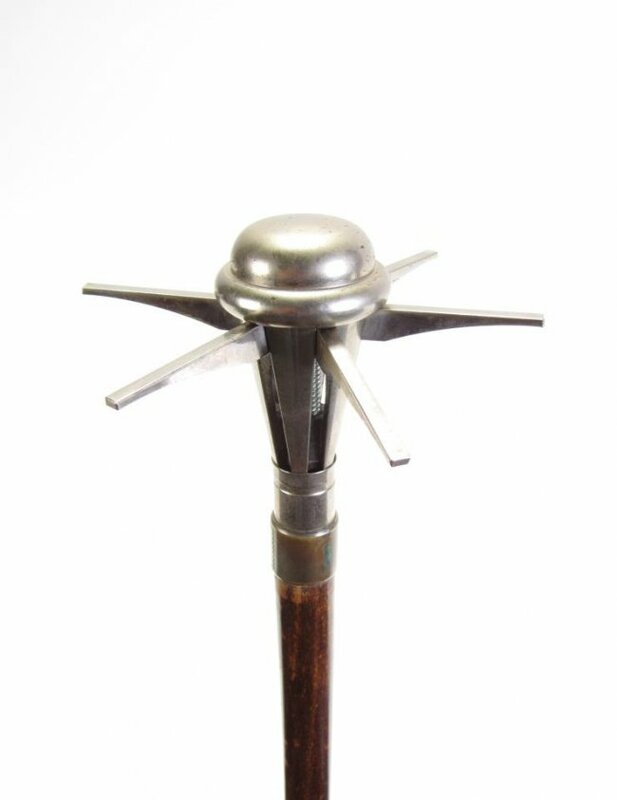 All of them function around the same principle; an adversary pulling on your cane to disarm you would also pull out a series of metal thorns or blades, cutting the opponent’s hand. 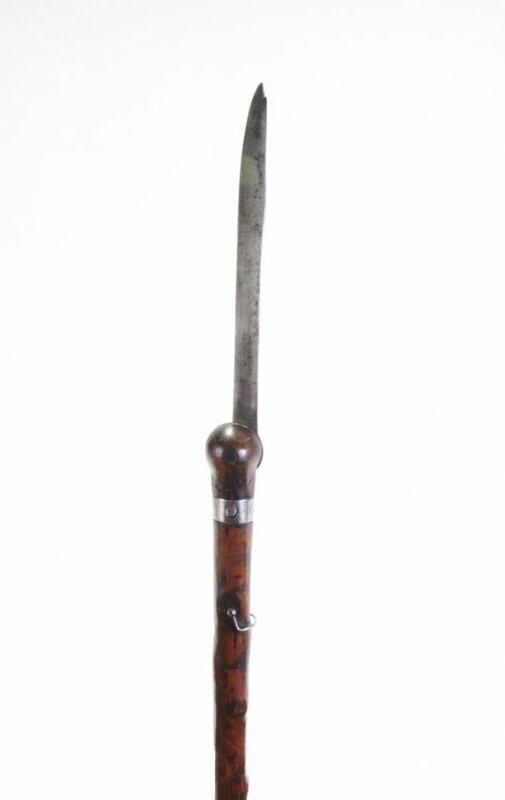 Outside of the classic dagger in a cane, there were many other means of hiding and eventually spring the blade out. 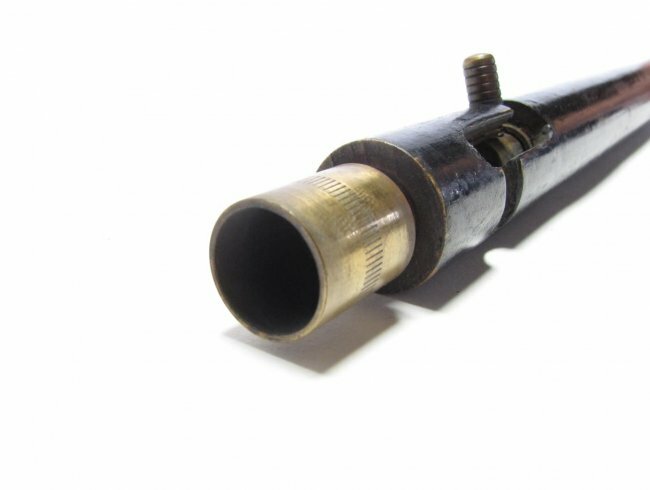 One of them was to use a flicker mechanism. 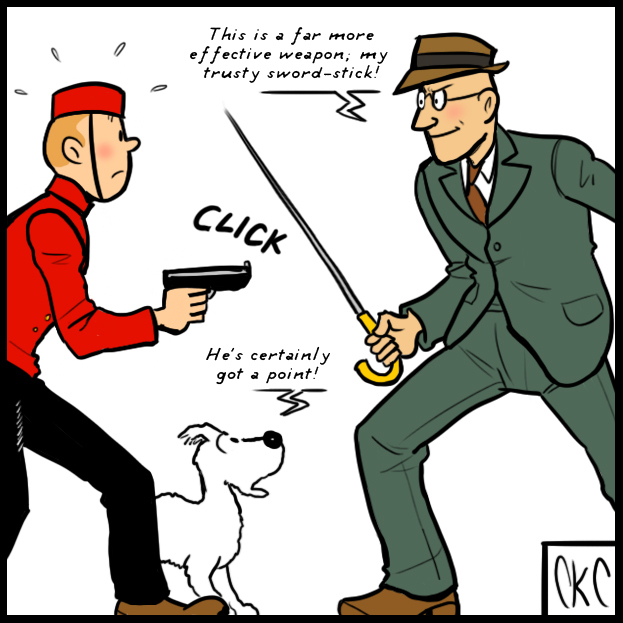 Simply flicking down the cane would spring a dagger blade out of the handle. 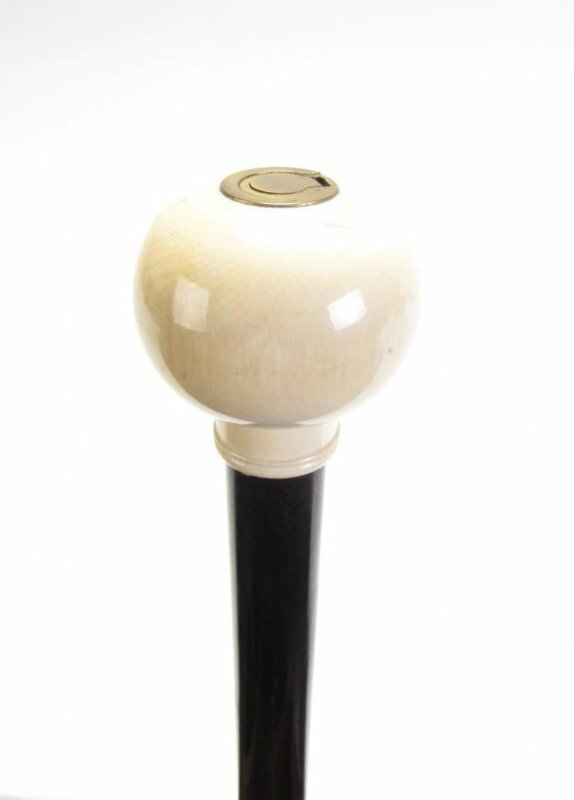 The invisible cane is probably the most treacherous implement in this group. 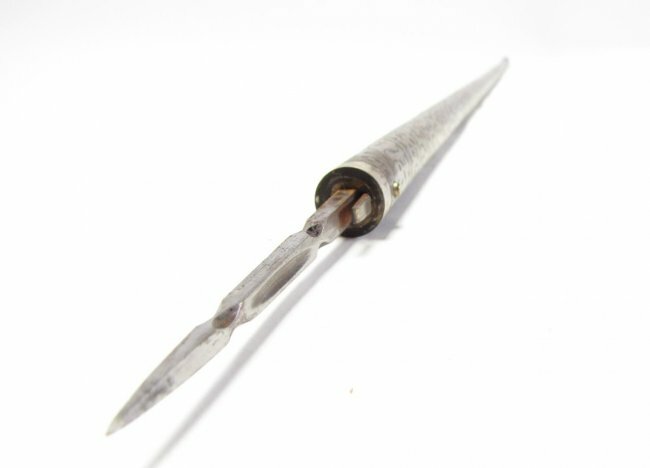 It allowed the owner to push a blade out of the tip by simply pressing it against someone. 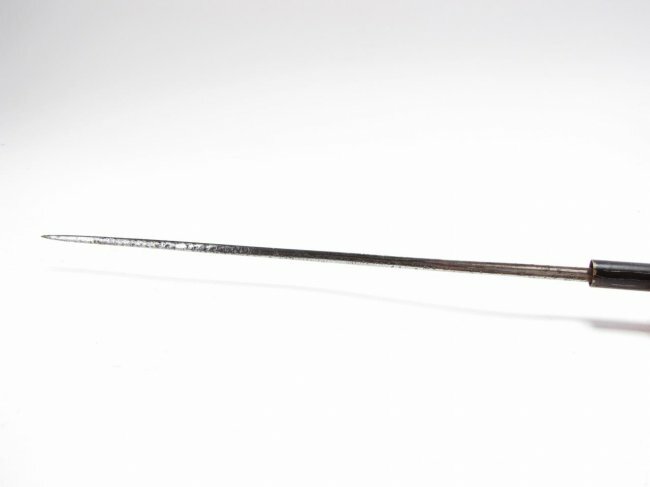 While most dagger canes have a dagger inside the handle, this example hides it inside the shaft, transforming it into a small spear. 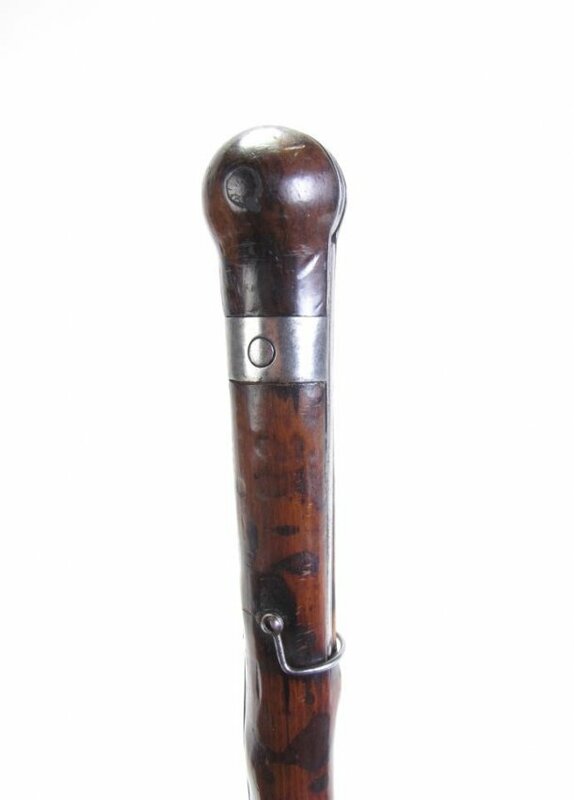 Certain canes were equipped with switchblades, such as this one. 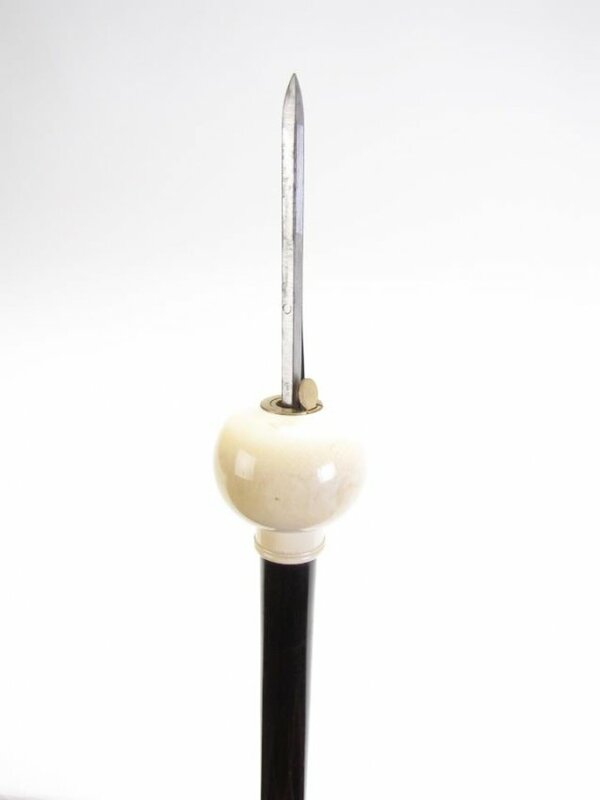 Pushing the lever releases the blade, and pushing the button on the shaft allows it to be put back into place. 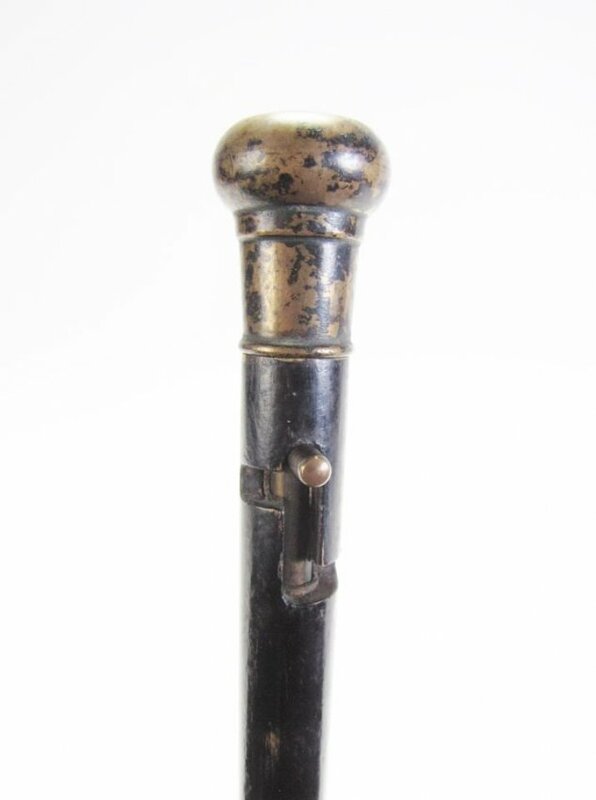 If you were not quite decided between having a gun or a sword cane how about combining the two? 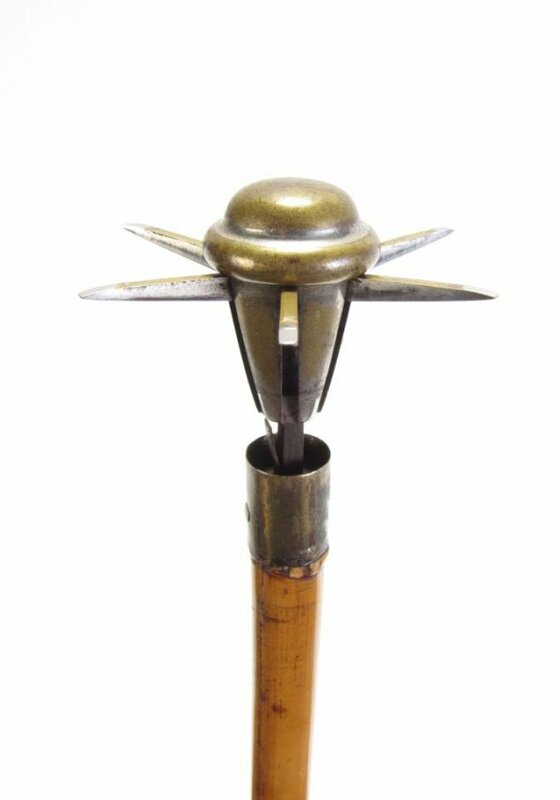 Probably one of the impressive types of weaponized walking sticks were these so called “life preservers”. 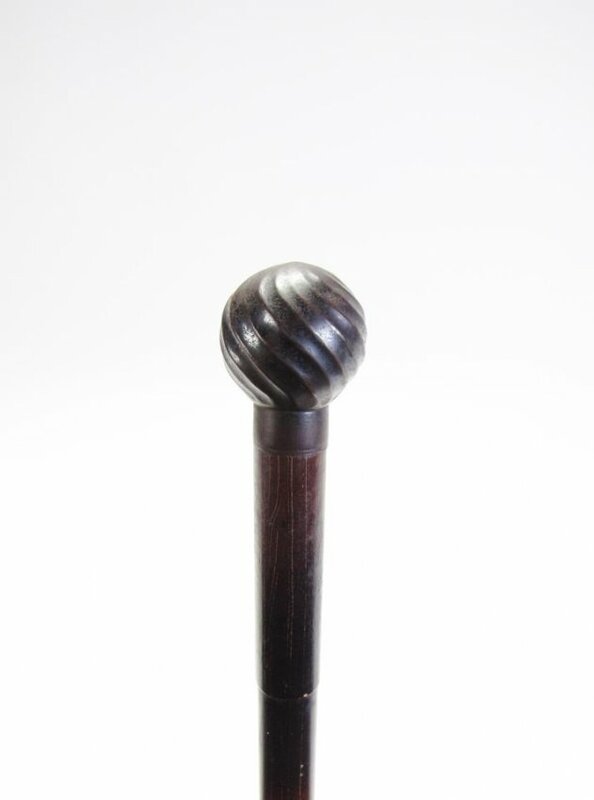 At the push of a button, the steel knob would separate into five spikes, forming a kind of morning star. 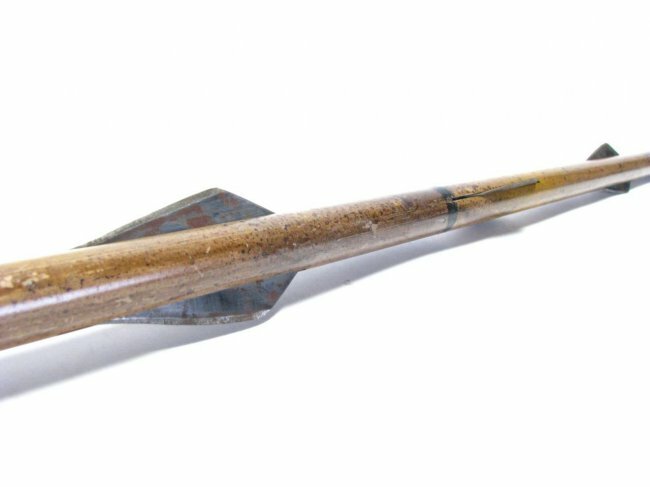 This rocket cane follows a similar concept to the torpedo umbrella which was part of a satire article found by Tony Wolf. 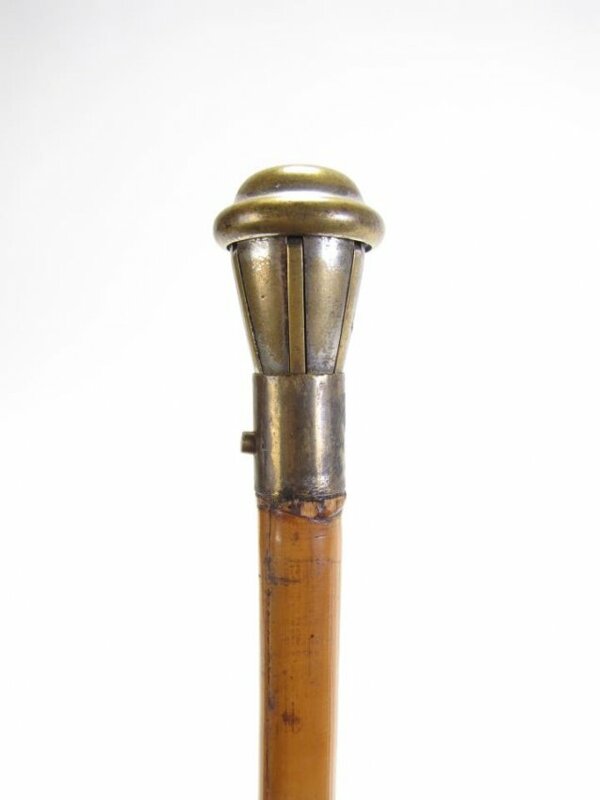 A flare is contained inside the cane, which fires up to blind an opponent or send a distress signal. 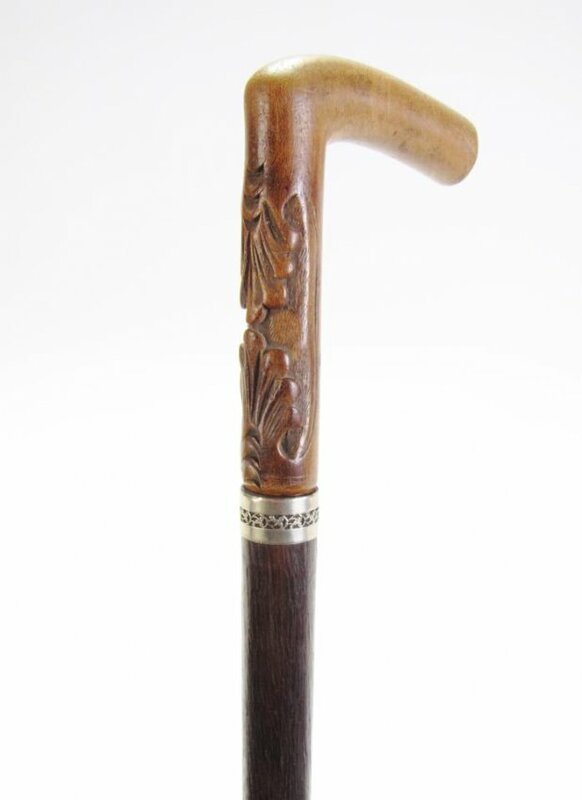 I do like James Bond-y gadgets and walking sticks! 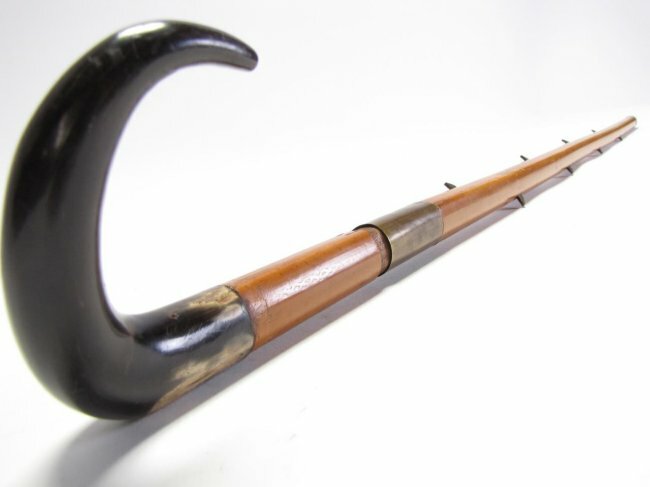 What’s the source on the final cane that holds thieving tools? 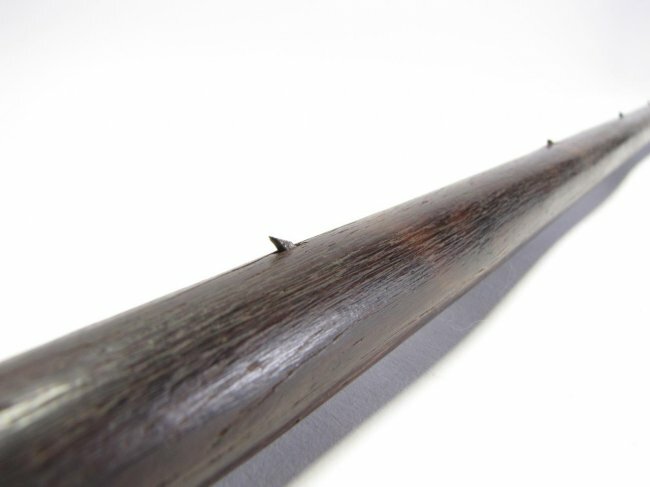 It would be a great addition for a fictional character of mine, and I’d like to research it further. 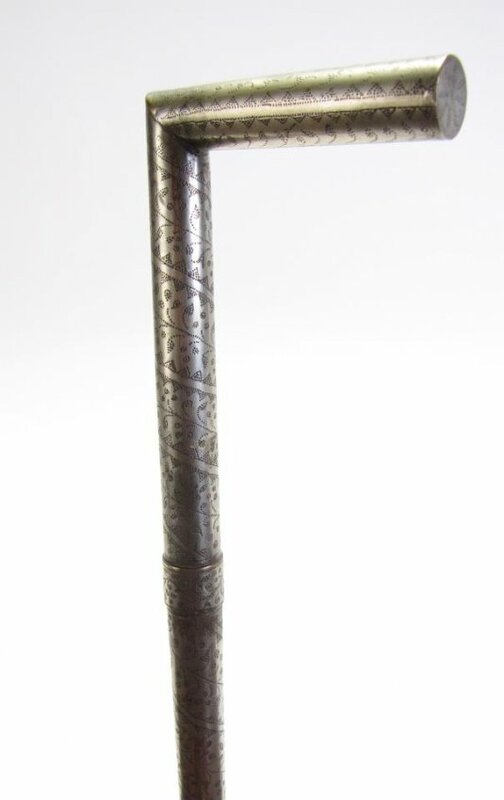 I have a fine antique dagger cane that I would like to sell, but eBay and Craigslist will not allow me so to do on their system.